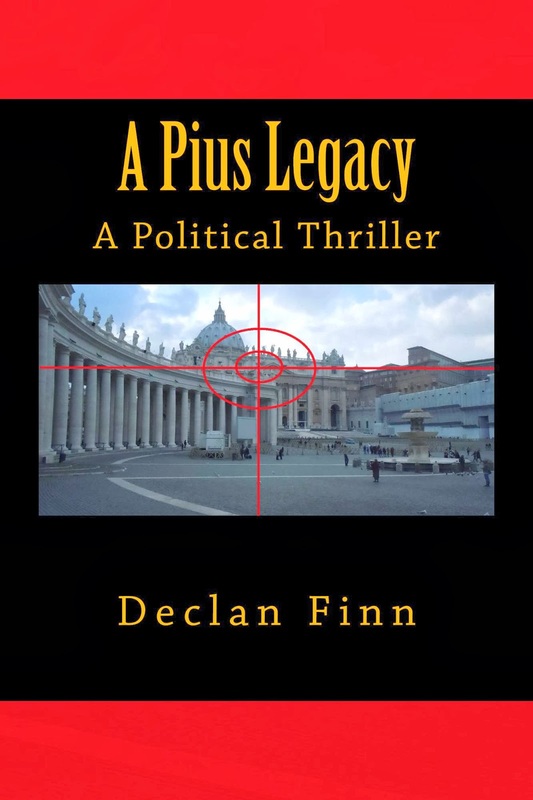 A Pius Geek: Writing "A Pius Legacy"
So, as I mentioned yesterday, A Pius Legacy was book two of the 800-page monstrosity that was the original A Pius Man. You want to know the real interesting part? A Pius Legacy was actually only 60 pages of the original book. At which point, you have to wonder, "Um... did you just admit you padded 60 pages of plot with 200 pages of nothing?" Not really. Keep in mind, a book becomes a very fluid thing after a while. Especially when you're breaking up one book into three. You can't just pull a Lord of the Rings, write a one-page summary of book one, and then keep going with book two. For those of you who didn't read the novels, the movie Fellowship of the Ring ended where the novel The Two Towers began. So if I can't do that, what can I do without making the first half of book two a retread of book one? Legacy follows hot on the heels of A Pius Man, so it's not like I can say that it's "a few months later." However, I can tell the story from someone else's point of view. Remember, a lot happened in APM, and a lot of people were shot at. Not everyone knows everything. So, if I take the same events from a different point of view, I get a fresh perspective. Second? There's the United Nations aspect. Remember who the ultimate villains of A Pius Man were. If you didn't read it, well, let's just say that these aren't people you just arrest. You have to have a heavy hitter take them down. You need an international authority to go after international villains. Could the United States do it? Nope. Why? For five different reasons. Some involve the villains themselves, some involve the individual politicians in this universe. We have to make the case for action. So, the recap is done. Check. Now what? Here's where the politics comes in. When you're essentially dealing with national enemies, public relations will be key. However, I have to use the right person as the public campaign for what happened in A Pius Man, or we're going to have a lot of problems. Let's face it, some of these people are as subtle as a sledgehammer. Some of them are spies who can't afford to go on MSNBC, CNN or Fox. Oh, yeah, and remember, the other side uses mercenaries who have no problem killing civilians who get in their way. When I write, I try to give new meaning to the phrase "killer interview." How else to expand the novel? Simple -- A Pius Man had enough characters for Fellowship of the Ring, surely I can give them their own subplots. I killed family members in the last book. I killed friends. I shot one of my main characters half to pieces. There's a double agent that hasn't really been dealt with. I have tons of people to play with, areas to explore, and really mean things to do to my characters. What do I do to these poor, unfortunate souls that have the misfortune to land in my novel? You'll see. But it's going to hurt.